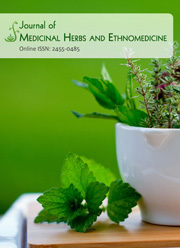 Journal of Medicinal Botany (JMB) is an international, peer-reviewed, open-access journal. JMB publishes Review Articles, Research Articles and Short Communications in all fields of Medicinal Plant Research. JMB is committed to publish and disseminate latest research updates from scientists, researchers and students worldwide through one of the world’s best Open Journal Platforms. Please see the Aims and Scope of JMB, before your Submission. All articles will be peer reviewed with at least two experts, and crosschecked with iThenticate plagiarism screening software. A DOI number (CrossRef, USA) will be registered upon publication. JMB follows Continuous Publishing Model, so that the articles will be added to the current volume continuously without any issue barriers. This helps the journal in rapid publication of accepted articles. There will be one volume per year with unlimited number of articles.